Not a huge surprise to us, but Men’s Sheds are proven to improve men’s health. New research has been carried out by Manchester Metropolitan University on behalf of Age UK, and reported by the esteemed web site The Conversation. 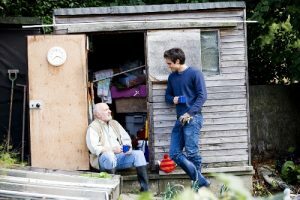 The article, and the research, is mainly about retired men, so whilst entirely appropriate, we would remind people that Men’s Sheds are not only for the retired. You may have seen in the P&J yesterday an article about a Deeside Postie and his mother who were scammed out of £80,000. This is devastating for them and we hope they get somewhere with recovering the money. But are you thinking “It couldn’t happen to me”? Well, before you think that, read this article from the Telegraph some years back. Any of that sound familiar to you? Are you sure you would spot the problem? And what if the line the scammers are spouting happens to coincide with something that has actually happened to you recently – like an actual card loss or a previous problem with your bank – and they therefore catch you with your guard already half down? You could be taken in. But, you say, surely your bank will protect you against such losses? No, often not, especially if you have allowed yourself to give out legitimate transaction details to a scammer. So, what to do and what not to do? Each bank web site will have its own security advice – go and read it and take note. Some of the information the banks present can however be quite complex and even tiresome to wade through. 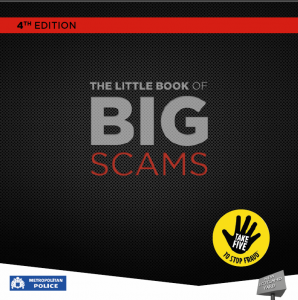 We suggest you read the excellent Little Book of Big Scams (downloads .pdf document) published by a number of Police Forces. This is a nice concise summary of pretty much everything the scammer can get up to, and the ways they can fool you. It covers not only banking fraud but also computer “servicing” fraud, courier and door-to-door fraud and so forth. Print it in booklet form, if your printer can do this, and keep it handy. Also print out some basic rules and keep them next to your phone – either write them out yourself as you will remember best that way, or the RBS Phone Scam Sheet is one ready-made example. Remember – you are in control – there is nothing they can do if you keep your details to yourself. If they use your correct name, it is no guarantee they are legitimate, but it can start to get beneath your defences. They will try and get you “on edge” and not thinking straight by saying that you have possibly already suffered a loss. That is almost certainly not the case, but even if it were, now is the time to say that you will call the bank’s fraud line back to check. Simply hang up. Wait a while, find your equilibrium, get the bank’s number from a legitimate source and call them preferably from another phone (a mobile, or a neighbour’s). The fraudsters could still be on the line to your own phone even though you might dial a correct number, simply by them not hanging up in the first place – that’s how the UK phone system works. We’ve only covered the one sort of scam here – but do read the Little Book of Scams and stay on your guard. And if you know someone who perhaps doesn’t have good internet access or might somehow be vulnerable, perhaps print them a copy, too. Recently we posted that we had reached our Phase 1 funding target of £9,000 for the Workshop area build. We would like to reiterate our thanks to all our funders and grant sources for making this possible. We are continuing to progress with the Lease details and look forward to the actual build starting. Soon after reaching this milestone then on 25th July were awarded the maximum grant of £4,000 from the Tesco Bags of Help Scheme and the ceremonial cheque was ceremonially presented by Tesco to the Shed last Saturday. This award together with some other cash built up has allowed us to start counting our progress on the Phase 2 funding drive 🙂 and you will see in the right margin* an updated progress thermometer. To date we are at £6,000 out of a target of £57,000. Please keep coming back here to see how we are progressing and also see our Fundraising page. There are ways to help such as the Amazon Smile scheme which won’t cost you anything. If you are not already a Shed member and are considering becoming one, we can guarantee you good comradeship, great craic and the opportunity to contribute in whatever way using your skills, knowledge, suggestions, or just to lend your encouragement and support to a worthy cause. 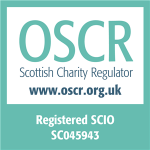 Men’s sheds are growing rapidly across Scotland for good reason. See you soon! Amount raised towards Phase 2 Shed Premises (Social Area), fitting-out, VAT etc. We’re still updating the new web site and have not re-added the Follow this Blog link yet. We’ll consider this also once we’ve sorted out the GDPR requirements associated. We have deleted the email addresses gathered on the old site “Follow” function. Meantime, please Bookmark us or add to your Favourites, and keep coming back – thanks. This website uses standard built-in Wordpress cookies to ensure functionality. We do not monitor or do anything with these cookies and certainly do not pass on or sell any user data.